The Standards Organisation of Nigeria (SON) has completed its review of cement standards and has declared that the use of type 32.5 cement will henceforth be restricted to plastering work, with 42.5 cement the new standard for general purposes. SON will now produce a schedule stipulating when cement manufacturers are expected to complete amendments to their process to meet the new standard. Joseph Odumodu, Director General of SON, has reportedly said that the incidents of building collapse can be related to the use of 32.5 cement: "Statistically, there had been more collapses of buildings under construction than old ones in the last 10 years. If this frequency is juxtaposed in a milieu of preponderance of type 32.5, which accounted for over 90% of the cement in the last 7 years, one can make reliable deductions on the need to proceed the way of restriction of type 32.5 cement." A survey carried out by SON identified that block-makers were using a disproportionate amount of cement in their mix in a bid to get more blocks from a given quantity of cement. The survey also revealed a level of ignorance regarding the difference between 32.5 and 42.5 grade cement. The 42.5 grade standard has a basis in history, since imports to Nigeria were specified at that same grade prior to the time at which Nigeria became self-sufficient in cement production, when 32.5-grade cement became the norm. In addition to specifying the new standard cement grade, SON is also requiring that the cement type and specified use be printed on the cement packing, to take up about one third of the bag on both sides. 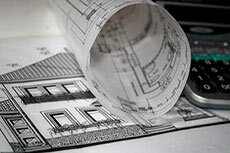 Also in the plans is a wide-ranging campaign to increase public awareness of the various cement types and their respective uses. In response to the announcement of the new standards, Dangote Cement has declared its support for the SON, saying it believes the new 42.5 grade cement standard will help prevent building collapse. Lafarge Cement WAPCO, Ashaka Cement and Unicem are reported to have filed a suit against SON challenging the order and seeking the court to establish whether or not SON complied with the mandatory provisions of the law for establishing a new industrial standard. Nigerian cement giant Dangote has expressed an interested in partnering with the Lagos State Bricklayers Association (LSBA) to tackle the issue of building collapse in Nigeria. 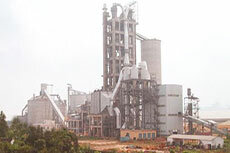 Nigeria’s Ashaka Cement is investing around €513 million in the expansion of its Gombe plant, which will increase production capacity from approximately 1 million tpa to 4 million tpa. 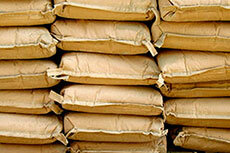 The Standards Organisation of Nigeria has convened a technical committee to review cement standardisation following popular concern over cement quality in relation to building collapse in the country.